Are you interested in becoming an accounting consultant, a CPA, or an auditor in the accounting field? 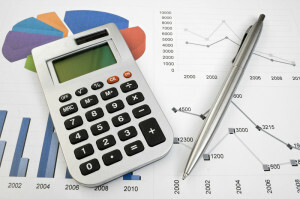 If you answered yes, you should consider earning a Master’s in Accounting. This graduate degree with a focus on the field of accounting is designed to prepare graduate students for high-level accounting positions in both the private and the public sectors. With a Master’s degree in Accounting, you can perform a wide range of different duties and become a valuable asset to a corporation, a government agency, or even in your community by starting your own business. If you are in the process of earning your undergrad degree, or you already hold a Bachelor’s, read on and learn what prerequisite requirements you must fulfill to get accepted into a Master’s program. The first thing you must do to get accepted into a Master’s degree program with a focus on accounting is meet the educational prerequisites. Before you start filling out admissions applications, you should verify that you meet the educational requirements that are set by the school you are applying to. You must possess an undergraduate degree from an accredited institution to fulfill educational requirements, but your major does not necessarily need to be in accounting. If you were an accounting major as an undergrad, it betters your chances of meeting the course requirements, but other business majors require many of the same courses. To get accepted into a graduate-level accounting program, you will need to complete courses in statistics, principles of accounting, finance and pre-calculus. You must also have a satisfactory Grade Point Average to show that you are a good student and you will perform in graduate school. To get accepted into a Master’s degree program with a major in accounting you will also be required to score highly on a Graduate Management Admissions Test. The GMAT tests students on their analytical writing, their quantitative analysis skills, and their verbal skills. You can score between 200 and 800 on a GMAT test, and 500 and above is satisfactory. Some schools may require that you score a 650 or higher to get accepted. It is in your best interest to start studying for the GMAT at least 3 months before you apply to graduate school. You can find several sample tests online to help you prepare ahead of time. If you have not completed these courses, you may have to complete them before you can enroll. Some courses will allow you to score high on the GMAT to fulfill these core curriculum requirements. A MAcc degree will take you places. You can earn your MAcc to take the CPA examination, or to simply advance your career with your advanced degree. Once you complete the robust list of accounting courses, from accounting law to ethical issues, you can say you are a graduate degree holder and use it to your advantage in the workforce.